Malcolm Keith Hartwig Sr.,“Mal,” 87, ofGreenville, South Carolina, went to be with the Lord on March 5, 2019. A private family memorial service will be held in northern California at a date to be determined. Malwas born in Hollywood, onFeb. 18, 1932.Hegraduated fromQuincy High School, Quincy, on June 6, 1950, and attended Chico Community College for one year. Mal joined the US Army in 1953 and served two years. Malwas married toMargie Tillmanon Sept. 13, 1952. They were married 10 years and had five children. Mal married Margaret Winstine on Aug. 8, 1964. They were married 31 years; their loving union brought three more children to their family. Mal never stopped working, spending many years as a Tom’s Snack distributor in Fresno, where he and his wife Margaret raised their family. In 1975 Mal and his wife relocated to Sloat, where he started Hartwig Rock Crushing on the Feather River. In 1981 Mal and his wife relocated back to the Fresno area, where he returned to Tom’s until 1986 when they started up their successful business, Grape Harvesters Sales & Parts, out of their home in Clovis until his wife passed away in 1995. Mal sold the business and moved to Hereford, Arizona, in 1998 where he started to acquire commercial real estate in Sierra Vista and Hereford and Augusta, Georgia. Mal loved working, whether on his businesses or in the yard cutting wood; he was never idle. Mal’s hobbies included gardening, working his tractor or his backhoe, beekeeping, watching hummingbirds and enjoying family get-togethers. Mal was very proud of all his children. Mal was preceded in death by his parents; his wife, Margaret, of 31 years; his wife, Margie, of 10 years; brother, Karl Hartwig; sister, Shirley Packer; and his sons, Eugene Rhodeaver and Mackie Hartwig. Malis survived by half-brother, Andrew Carisio, of Mariposa; six children: Keith Hartwig, of Dallas, Texas, Carter Hartwig, of Payson, Arizona, Matt Hartwig (wife Rubina), of Magalia, Geneva Chrostowski (husband Ken), of Canyon, Texas, Ron Hartwig (wife Kathryn), of Greenville, South Carolina, and Georganne Hartwig, of Tucson, Arizona; 10 grandchildren and four great-grandchildren. ” … And the God of all grace, who called you to his eternal glory in Christ, after you have suffered a little while, will himself restore you and make you strong, firm and steadfast.” ~ 1 Peter 5:10. Kenneth Vadney Murray, loyal husband and proud father and grandfather, passed away peacefully on March 1, 2019, in Chico, at the age of 91. Vadney was born in Westwood, on May 18, 1927, to Kenneth Blood Murray and Marie Vadney Murray, of Greenville, and spent his childhood in the picturesque mountain community of Greenville. On May 24, 1945, Vadney entered in active duty with the United States Navy and served through the duration of World War II. Following his discharge from the United States Navy on July 15, 1946, he received a Bachelor of Science Degree from the University of California at Berkeley in 1950 with a major in Business Administration. After his graduation he completed a training program with Fireman’s Fund Insurance in San Francisco and then returned to Greenville to begin his career as a partner in Murray Insurance Agency, a firm founded by his grandfather in 1883. In 1953 Vadney moved to Quincy and purchased J.N. Stephens Insurance Agency. While in Quincy he met Jean Evanikoff Murray and they were married on Aug. 16, 1958. Together they built a beautiful home on Bucks Lake Road and raised their children, Tanya Marie Murray, Kenneth Vadney Murray Jr. and Kevin Ian Murray. Following his retirement he and Jean, seeking refuge from the mountain winters, moved to Sun City in Roseville and finally to Chico. Vadney was an avid hunter and fisherman. Many summer days were enjoyed with family and friends fly fishing for trout on the waters of Montana’s Madison and Big Hole Rivers, hunting deer on the mountains surrounding Greenville and the Egan Ranch in Susanville. Particularly special to him were the misty autumn mornings he spent marveling at sunrises beneath the splendor of the Sutter Buttes while shooting mallards and pintails, then sipping evening bourbons and swapping stories with great friends at the Colusa Shooting Club. At his home in Quincy he would spend endless hours providing affectionate care to his yard in which he took great pride. Guests to the home often expressed admiration of his prized rose garden and the medley of tuberous begonias, which adorned the front porch. In the early evenings of the mountain summer months he and Jean savored sitting on the deck beneath their centerpiece maple tree sipping gin and tonics as they admired the beauty of Mt. Hough and Spanish Peak. 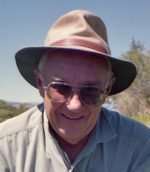 Vadney did his best to influence a better tomorrow for his community through his service as President of the Quincy Rotary Club, Director of the Plumas County Chamber of Commerce, President of the Quincy Swim Pool Association, Charter Member of the Feather River College Advisory Board, and Secretary of the Save the Middlefork League. Vadney was predeceased by his wife, Jean, in 2016, and his brother, Robert Lewis Murray, of Greenville, in 2015. Vadney is survived by his sister, Ellen and husband, Harold Taresh, of Phoenix, Arizona; brother, John and wife, Nancy Murray, of Susanville; his daughter, Tanya Marie Sullivan (Bill), of Petaluma; and his sons, Kenneth Vadney Murray Jr. (Rebecca Radtke), of Santa Rosa and Kevin Ian Murray (Jane), of Chico. He leaves five grandchildren: Jean Frances Liberatore, of Bellevue, Washington, William Joseph Sullivan, of Santa Clara, and Regan Elise Murray, Brenna Jane Murray and Keaton David Murray, of Chico. At Vadney’s request, there will be no services. In lieu of flowers, Vadney’s family asks friends to make contributions to the charity of their choice. An opportunity to express condolences to the family along with signing the memorial guest register is available online at brusiefh.com/. Susen was born to Cecil and Darleen Gardiner in Minneapolis, Minnesota, on May 16, 1954. She grew up in Livermore, with her brother, Ron, and much younger sister, Lisa. While attending Chico State University, Susen married Kest Porter, and their 42-year adventure began. After college, they worked their way around the United States for a year. Upon returning to California, Susen and Kest started teaching in Modoc County, where they had two daughters, Jessica and Kerstin. In 1986, Susen and family moved to Greenville, where she taught preschool, elementary school and middle school. She was in her element, being playful, but seriously finding ways to help her students. When she wasn’t teaching, Susen worked in her garden and the family traveled and visited relatives. She and Kest were often seen pedaling their tandem bicycle. Susen had a well-earned reputation for being goofy. There was a good chance that if she was around, some form of silliness was going to take place. Susen retired in 2016 and was diagnosed with ALS shortly thereafter. She remained positive throughout her illness, popping on a clown’s nose she kept in her purse when things got too serious and giving two thumbs up and a smile when asked how she was doing right up until the end on March 19, 2019. Along with her husband and daughters, Susen is survived by her mother, brother and sister. She was a wonderful daughter, wife, mother, sister, aunt, friend and teacher and she is sorely missed. A memorial service was held on Saturday, March 23, at the Methodist Church in Greenville. 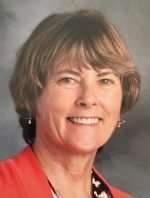 In lieu of flowers, donations in memory of Susen may be made to the Indian Valley Elementary School Parents Club or the ALS Association. James Henry Rogers was 83 years, seven months, and two days when he succumbed to complications of pneumonia. March 10, 2019, at 8 p.m., he passed away surrounded by his family at Mayers Memorial Hospital in Fall River Mills. 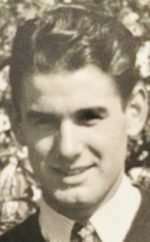 James, the son of Glass C. Rogers and Sarah lrene (Hoggatt) Heinrich, was born Aug. 8, 1935, in Denver, Colorado, he was a longtime resident of Portola. At age 6, his father Glass, moved his family to Portola (including three sisters, Edith, Rosalyn and Mary, and their Aunt Amy (Chenowith). He graduated from Portola High School, after setting many athletic records and was inducted into the PHS Hall of Fame. While still in high school, he started working at the Graeagle & Sloat sawmills. After graduating, he began working for the railroad and then moved his family to Sacramento. Continuing his employment with the railroad, he attended Sac State and was a member of the boxing team. He returned to Portola and completed his 43-year career with the Western & Union Pacific Railroads. He was in the U.S. Marine Corps Reserves from 1954 until 1961, where he won an M1 rifle competition for his marksmanship. James Henry loved sports and coached Little League baseball, was a member of the Graeagle Jazz Society and served as president. He was involved with the organizing of the Golden Grads “Class of 1954,” along with being a member of the PHS Alumni Committee and the Graeagle Old Timers Committee. Jim Henry (as he was known to many) was an avid golfer winning several tournaments. After his retirement from the railroad he subsidized his usual golfing routine by working at Graeagle Meadows, Plumas Pines and Whitehawk golf courses. He married Dixie (Sarbach) Rogers in 1954 and had three children. In July 2000 he married his soul mate, Janice (Gaynor) Rogers. 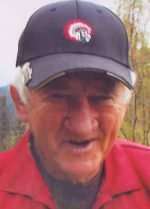 Jimmy is survived by his wife, Janice, (Graeagle); sons, Daniel Ray and wife, Betty (Winnemucca, Nevada), Timothy Allen and wife, Jeannie (Bend, Oregon), and daughter, Adonica Sue McGarr and husband, Dennis, (Bieber); six grandchildren; four great-grandchildren; his sister, Mary Sanger West (Seattle, Washington); and nieces and nephews. He was preceded in death by his parents, his sisters, Edith and Rosalyn, and a brother, Lawrence who died at infancy. Any donations may be sent in his name to support PHS Alumni/Student Scholarship Fund. Although a memorial service will be held in his honor, a date has not yet been set.